UPDATE! Here are the results!!!! Please feel free to submit others as the list will grow! Once the enough results are posted I will place the resource back here in this post! Please share the survey amongst your teacher friends as well! Banning Cell Phones at School? I really can’t see the merit in that…unless the school is giving each student a laptop or tablet to replace it in their school day to learn with. Having the world at their fingertips is clearly something that can pedagogically benefit students when incorporated into a lesson. As teachers, we would love to say we know every fact but we really don’t. Textbooks go outdated the minute they are printed and subjects like science, that is rapidly changing, I want my students to access what is new and cool going on in the world. I want my students to shift from content consumers and stop just taking in information but to leverage their own learning and knowledge to create content. Being a content creator is very simple with a smart phone and it empowers students. During today’s lesson 95% of the students had a smartphone or tablet with them without even knowing we were using them today. The other 5% are able to use two of my class iPads to research, message, tweet, vine, skype, post…etc.. I know what some of you are thinking, they are going to be “on the Facebook” instead of learning. Yes, students may send a text to their friend or fire off a Snapchap message during class time but…have students ever whispered to one another when a teacher was talking or passed a note down a line of students? As educators we need to create a culture in the classroom. The benefits outweigh all consequences I can think of. If we don’t allow phones into the class, who will teach them how to use them respectfully? for professional purposes? I know cyber bullying happens through phones but bullying happens in person too, so we can’t take away personal interactions due to a those incidents. We can’t take away phones for that same reason. There is no course on how to use cell phones, etiquette and manners online. It is through meaningful in-class relationships that we build those relationships and teach life skills along with our course content. I use my phone all the time for personal and professional uses. 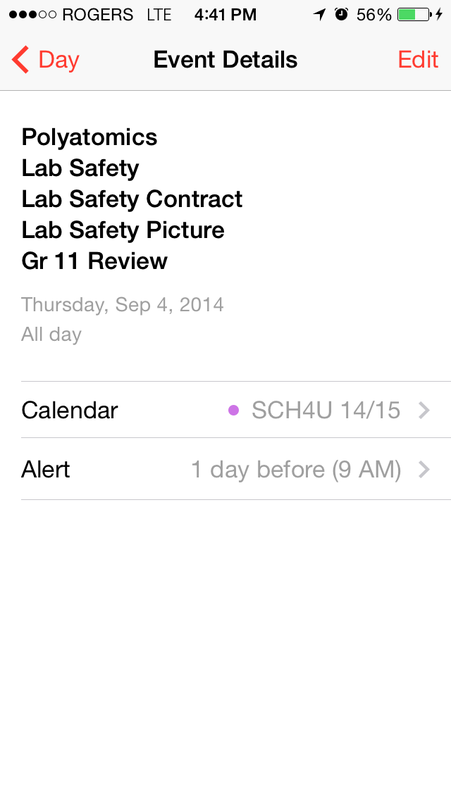 I update the students class calendar on my class website right from my phone. Parents and students can log in instantly to see what’s due from a computer or their own phones. 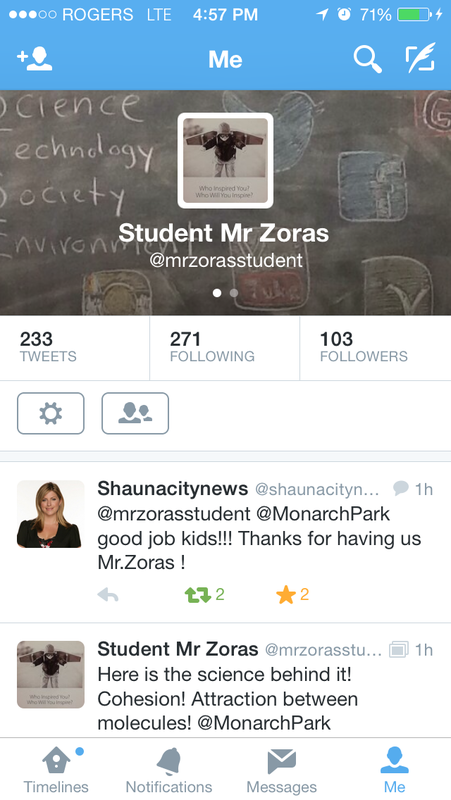 I tweet (@mrzorasstudent) out solutions from class, cool facts and things to benefit my students. More importantly I let the students curate the content as well and produce amazing ideas that are shared with the world. 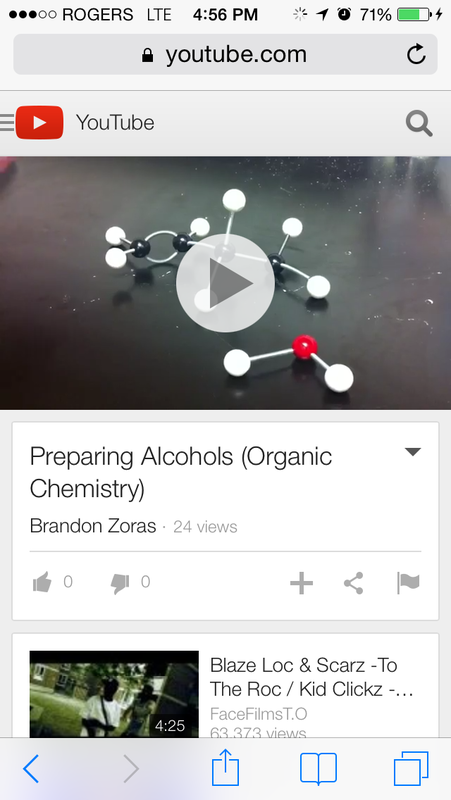 Learning chemical bonding can sometimes be boring, I admit it, but by having students produce a video from their cell phone explaining bonding and publishing it, they are having fun and learning the content as well. We use programs like Nearpod, which allows students to follow along and do quizzes from their phone so I can assess their learning. 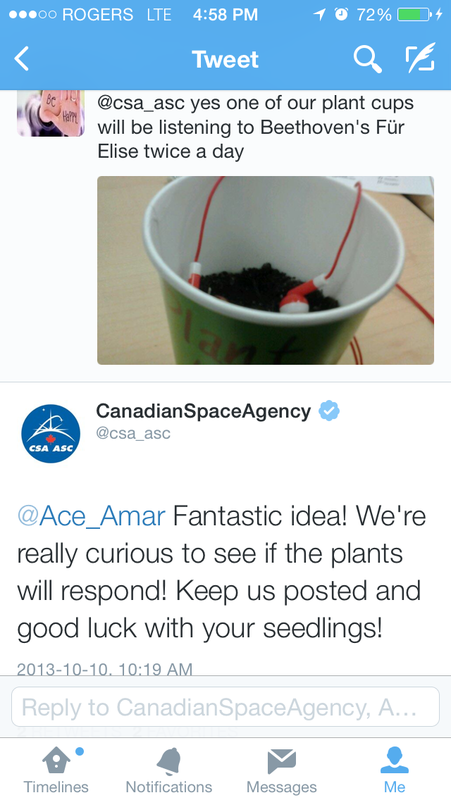 We grew space tomatoes as part of the Canadian Space Agency Tomato Sphere Project and heard back from them through Twitter. We make QR codes with information about science and place them around the school and have others do a scavenger hunt scanning them to learn. 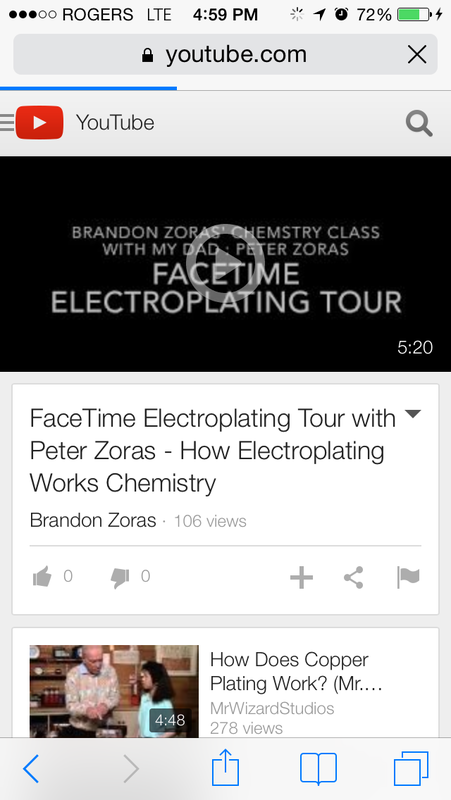 How about learning about electroplating and FaceTiming my Dad from my phone to give us a virtual tour. That is the tip of the iceberg as there are so many educational apps I encourage my students to use. and things we do in class. I feel that students need to learn how to use their cell phones appropriately and I need to prepare them for the future. Using cellphones as an educational tool and in my class is important. I feel good that they are interacting safer in online spaces and are ready for the many jobs that will require them to work with cell phones as well. My reflection of my first 5 years of teaching! This school year ended like a whirlwind. It was also a significant milestone in my teaching career. This June marked my 5 year milestone in teaching. I have always known I love science but teaching is my true passion. My mom is also a teacher and is someone I look up to in my career. All the students at her school would look up to her and when we were in the neighbourhood many kids and then adults came to say hello to her. From working parks and rec since I was 16, teaching art classes and summer camp, it was teaching and working with youth that made my day. 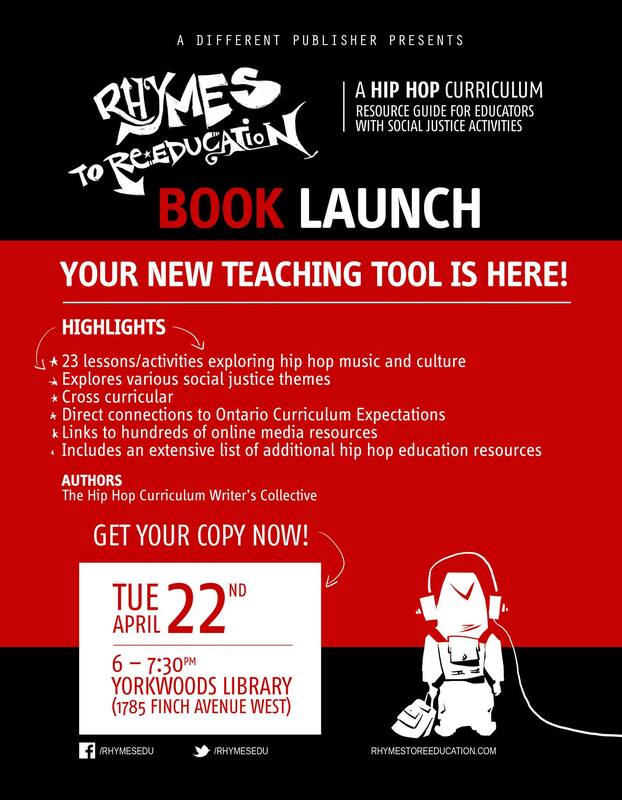 After graduating from the inner city education cohort at OISE and have gotten a taste of inner city issues and equity, I knew this was my calling. With amazing instructors that are still mentors to this day I learned so much. I heard that the teaching opportunities were slim but I was on the eligible to hire list with TDSB. 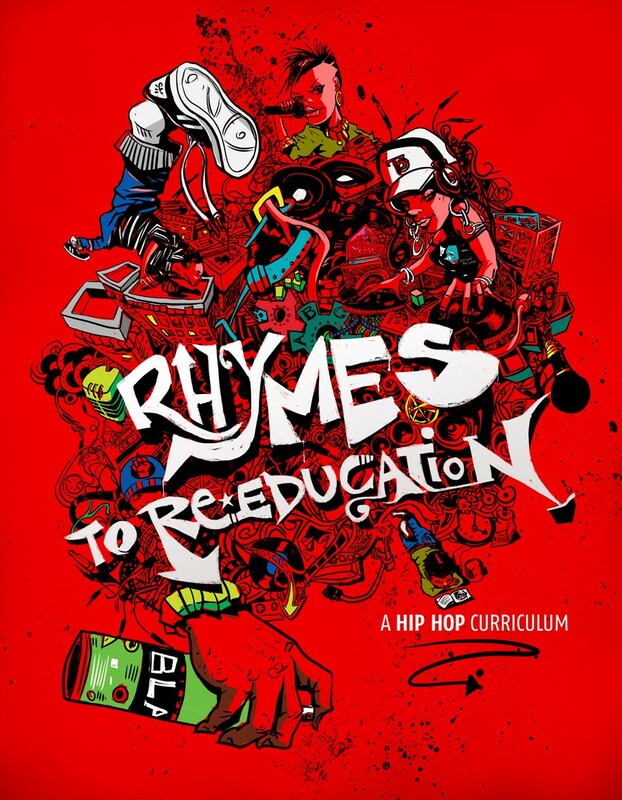 I wanted to learn more though and I applied to the masters of urban education program at OISE. I continued it for the next 3 years learning with great profs and equally amazing colleagues with interests in urban education. It was just 5 years ago I was 23 and teaching 21-65 year olds at SCAS, an adult day school, teaching math and English. It was there I was given a shot by a great admin team to take over 2 English classes and then a math class of my own. Teaching 60 adults from such a diverse background of experiences was very rewarding. I knew though, in my heart it was teenagers I wanted to work with, where I can prevent them from dropping (being pushed) out. The adults were amazing but they realized it was time to go back to school and were back on track to graduate. A great mentor and principal of the school knew this as well and let me know a nearby high school would be hiring. There, I fell in love with the school and the amazing staff who not only gave me chances that I couldn’t imagine but truly respected me. So much so that they let me know how young I was by informing me I doubled in age in one semester and my use of cell phones and technology sounded like slot machines dinging :). Unfortunately I was only 0.5 contract and had no placement for September so I went on some interviews. It was over to Eastern Commerce where at first was reluctant to go, I again, found a great place with amazing mentors and really great students. From credit recovery in almost any subject I ever imagined, to civics / careers and being the sole grade 11/12 chemistry teacher I did it all. It was my first try at coaching with assisting an amazing coach on the football team to running the jr. boys b basketball team. The kids were what kept me going with 6 preps and coaching. Again I had the support of 3 amazing admin who gave me opportunity after opportunity and believed in me to excel. Unfortunately with declining enrolment I was surplus again from a school. At the good bye assembly kids were in tears, booing, and swearing as many of their favourite teachers walked across the stage. As luck would have it I was placed back at Cedarbrae and it was like I never left. I brought back new ideas and ways of doing things. It was in my masters I was hearing and learning about the big picture in education from teachers, admin, central staff, community workers and instructors. 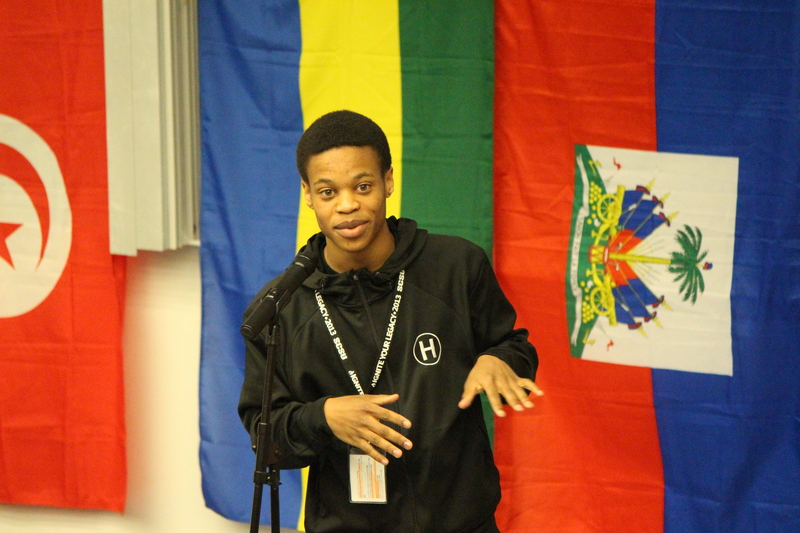 I was again given opportunities to work on curriculum, start on textbook consulting, and work with a team to present ideas and lessons for the Africentric school. This year was great as I presented at many conferences and got to host exploration classrooms where teachers got to watch me teach. To the shock of many they walked in and saw a new/young teacher and seemed sceptical but by the end of the day I had a new found respect from them and I for them. I was lucky to be kept there despite the few scares of being moved again. I wanted to keep on making change so applied to be assistant curriculum leader (department head). I got to be the curriculum leader for the school year. I got to see the bigger picture of how the school works and ways to put in my ideas. I had a lot of support and have made friends and mentors that will last my entire career. I also had challenges thrown at me by colleagues that saw me as making them look bad because of the great work I do. It is sad that you leave high school as a student and enter as a teacher and some teachers gang up and bully others still. 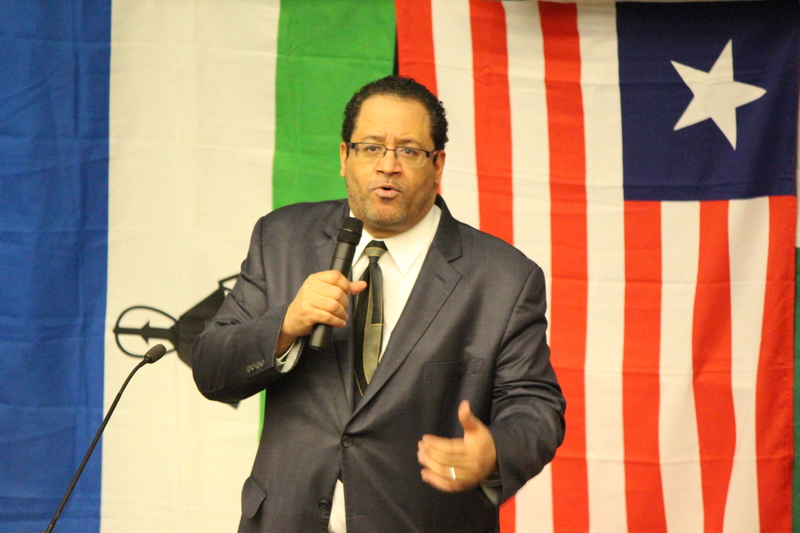 The momentum though was continuing and many great opportunities were coming my way. I was working with many community groups both in Regent Park and Scarborough. Pathways to Education was something great integrating in our schools. I got to work with a dedicated team of youth outreach workers who are miracle workers in school and the community. I also started taking in associate teachers (student teachers) which was an amazing two way learning experience. Again though I was surplus and sent to Monarch Park. I again met another great set of admin and staff that have a school culture like no other. I got to see another new way of teaching and learning with an all star science department. Teaching International Baccalaureate (IB) for grade 9 science and grade 12 chemistry has been a learning experience for me and has opened my eyes to a different set of students in the school. I look forward to another year at Monarch and building on the foundation of last year. I am grateful to all the amazing mentors and teachers I have gotten to work with from real life and the Twitterverse. I think a lot of my PD and teacher resources are coming from digital sources and on-line connections. You don’t just open a binder any more and let a new teacher copy it. I am thankful for all those teacher, admin and central staff that have given me the numerous opportunities these past 5 years and the projects I have been a part of from hip hop curriculum, conference presentations, committees at the school, family of schools and board level, numerous EdTech companies, professional development, to this year running our own hackathon. I am looking forward to another great year and working on new projects, committees and conferences. Testing something out for the summer! Would love people’s feedback and for people to use this lesson! Amazing work by a student at my school! 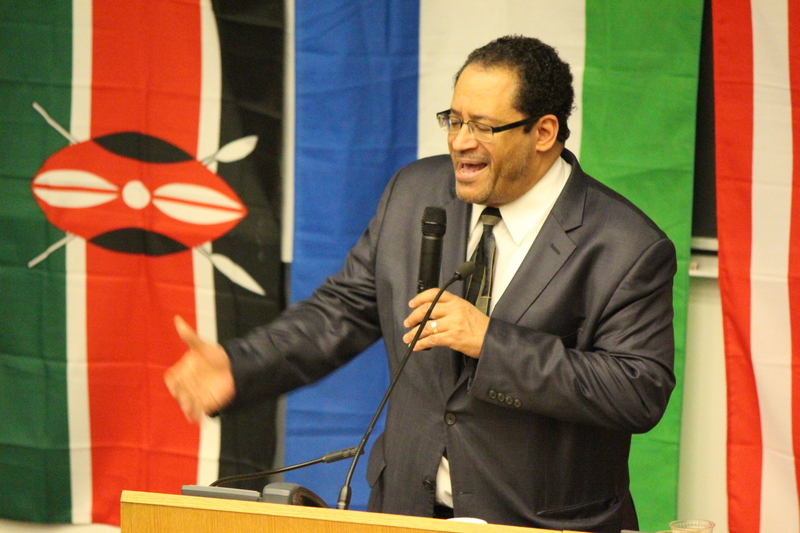 Michael Eric Dyson was beyond amazing! Below are my notes I was trying to scramble down on my phone as he was speaking! These are his words and opinions below. Although I agree with many of it, this is notes I took from him speaking! We need transformation of the world that we live. 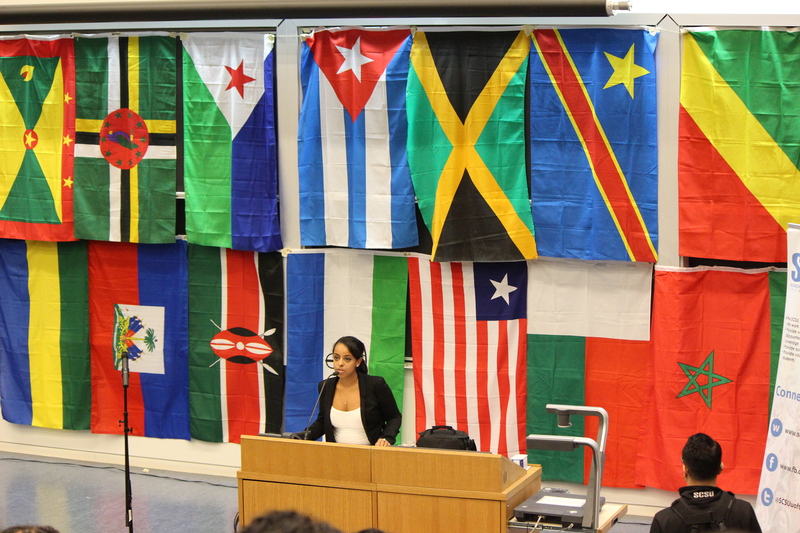 Many aspects are part of our identity: colour, race, sexual orientation etc. We are in evolution and becoming who we are meant to be. Man kills a youth because the youth’s very identity provoked fear. Another young man was gunned down because he provoked suspicion. His very own identity has provoked this. Difference is what challenges the norm, the narrow cookie cutter norms. We live in a world where people are incapable of acknowledging difference. He spoke of jealously of freedom struggle. How do they take our freedom struggle. Where is the copyright on freedom struggle. Would Martin Luther king pay royalties to Ghandi? Ghandi is a internationalist and globalist. This homophobia we nurture in the womb of our identity, that those practices of justice are what it is to be black or brown or yellow. No racism but colour coordinated oppression going on! Darker people are catching hell. The currency of acceptance is the demonization of colour! The older people paid the price and suffered so you can have it well. Dying for freedoms they could never enjoy. Wearing the military uniform could get you beaten up (referring to American history where first black soldiers servered the US and came back to America, would be beaten up for wearing their uniform). Sell out for that day. If you trying to get a job pull your pants up and sell out for that day. Learn some other women! learn something new about the women you already know! People from their own groups will replicate and duplicate harmful beliefs about their own communities. Read as much as you can. Learn new words, read the dictionary, and learn a new word each day. Speak and listen to people you admire. Talk to young people not lecture. They want limits and boundaries. They have friends, they need a parent. Give them a sense of what is possible. Willingness to admit error.